This is a guest post by Chris at StumbleForward. Head over to his blog and check out his other articles after you’re done with this one! We all understand that the cost of living is going up on an annual basis. But as we get older, there are going to be some huge cost increases that you may not have realized you had to deal with making those golden years not so golden anymore. So in this article I’m going to cover 3 expenses that may be increasing and help you plan for those increased expenses now before it’s too late. One of the first increases you may see is a rise in is taxes. Once you’ve retired you won’t be able to claim several of the great tax deductions like you once did. To start, your kids will likely have all grown up and moved on with life so you won’t be claiming any sort of child tax benefit. Secondly, now that you’re retired you won’t be contributing towards your retirement through a company retirement plan such as a 401k. Contributions towards these programs helped keep your taxes lower during your working years and what’s worse is when you go to withdraw that money you will owe taxes on every single penny you pull out. Finally, one of the last ways your taxes will increase is if you are a homeowner, because once you have your home paid off you will no longer be deducting the interest you paid toward your mortgage. The only upside to this is that you won’t have a mortgage payment anymore. When it comes down to it, your taxes will increase when you get older assuming your income stays the same. You may not necessarily jump up in tax brackets but rather you won’t be getting the comfortable deductions you once were. 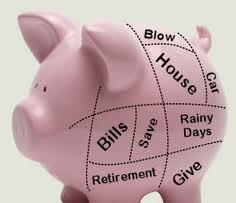 To avoid these issues now, start contributing toward a retirement plan that is not tax deductible such as a ROTH IRA. Doing this allows you to pay a portion of your taxes now before you retire and hopefully at a lower rate. The next thing to increase is your insurance, and the big one on this list is health insurance. Health insurance has been increasing by huge amounts over the last few years. In fact I’ve personally seen it go up by 50% in the last two years alone. On top of that in the state of Ohio it is projected to go up by 80% by 2017. However if you’re on Medicare don’t count yourself safe either. In a recent article by the New York Times, claims that the Medicare trust fund will run out of money by 2024. This means the safety net that you once had could be gone now, and before that time even comes you could be seeing a huge decrease in benefits, and higher taxes cover the ever widening gap. On top of that consider the cost of life insurance. When you are younger, life insurance is cheap. But when you hit age 60, rates can go way up and a pre-existing medical condition will make the situation worse. In fact nearly 50% of those living in the US do not have life insurance. In the end, insurance for the elderly is going up especially as you get older. Buying life insurance earlier in life when you are healthier and younger could save you a lot. Secondly, start saving extra for your health insurance needs, by setting up an HSA account or extra savings account to help cover unexpected medical expenses. When it comes to retirement savings, most people don’t start until it’s too late. In fact, in a recent survey by the Employee Benefit Research Group said that 60% of 55 year olds and older had less than $100,000 saved for retirement. What’s worse is that the cost of living is also increasing on a year by year basis, which means when you do plan to retire things are going to cost more, a lot more. Not having this extra cost figured into to your retirement savings may end up draining your savings faster than you anticipated. Finally, we have to consider social security. As it stands right now social security may run out by as early as 2023, and just like Medicare, it will likely be facing benefit reductions, and possible tax increases. The best way to avoid this disaster is to start saving as early as possible. This will allow you to compound your money for a longer period of time and as a result live a better retirement, not a semi-retirement, or even none at all. So, what are you doing to protect against these extra cost? This article was written by Chris Holdheide a personal financial blogger with StumbleForward.com, helping people avoid financial mistakes and live a higher quality financial life. I agree Jeremy cost are going up as we get older. What’s worse is when you factor in inflation as well, it will only intensify the problem. I agree David, things were so much easier before we had to worry about money and being responsible for anything. Oh how good we had it then and didn’t realize it. I agree DB. I’ve been wanting to start contributing back to my ROTH IRA for some time now. Anything you can do now to cut down your taxes now the better. You’ve convinced me. Getting old is expensive, and I can’t afford to do it. I think I’ll just stay 28 for the next few decades. Me too. I’ve been looking for the fountain of youth for years now. HAHA Micheal, if I had my choice I’d choose to stay 21 forever, things are just so much more simpler when your younger. Bottom line is start planning now. Know the three important items you mentioned, and do something about it. Act early so those expenses don’t have such a big impact. Thank you so much for providing this information. Thanks Susan. Saving now is the really the best thing you can do. The problem is that I notice so many people who believe in spending everything they have now and worry about it later mentality. These people are going to be in for a rude awakening when they get older and it isn’t going to be pretty. Good point Liquid, I just rearrange my life insurance policy a few months ago with a higher deductible because of these very reasons. If people think the cost are bad now, wait 20 years and you’ll see what I mean. My guess is health insurance cost will be so expensive that no one will be able to afford them unless you are ultra rich. It’s all a guess but based on the current trends it could be very well possible. One of the things that keeps me contributing to my retirement account regularly now is the thought of putting thousands of dollars into it each month when I’m older. That’s a scary thought, because how can you enjoy your money when you have to save ALL of it for the future? So I’m getting a head start. Good point Daisy. Starting early on retirement is the best solution to this problem. I wish I would have started my plan when I was 18 cause I’d be set for life. On top of that retirement is a whole cheaper when you start earlier, so congrats on the head start.